The number one maker of Nd:YAG technology is delivering the next evolution of premium platforms to your clinic. 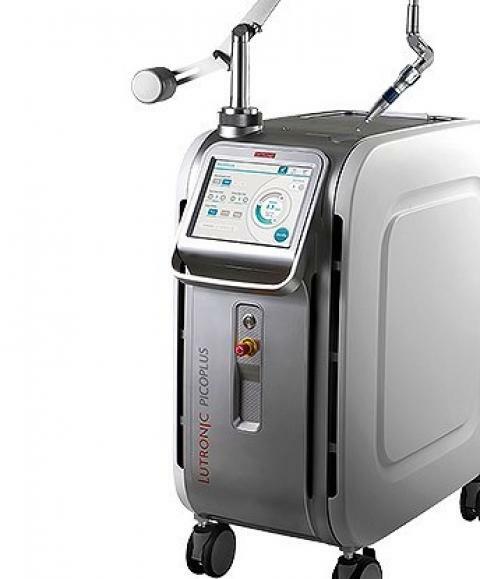 The LUTRONIC PICOPLUS offers you the best of both worlds, the safety and efficacy you expect from a nanosecond device, with improved performance and outcomes from a picosecond platform. 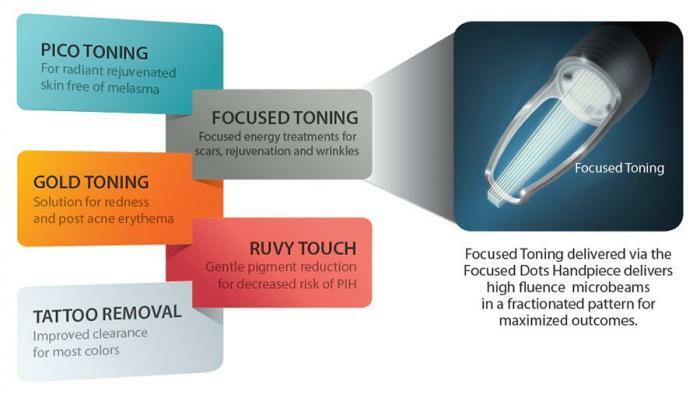 The PICOPLUS platform offers both pico- and nanosecond with the performance of four wavelengths (1064, 532, 595 and 660 nm) to provide you with more options than ever before to address everything from standard treatments, to those hard to treat cases which are stagnating. You can count on having the right power, pulse-width, wavelength and fluence you need for the outstanding outcomes your patients want, all from one premium platform. 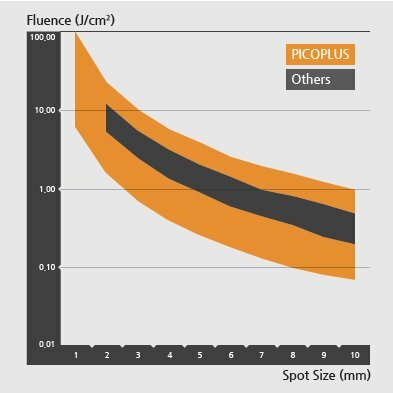 PICOPLUS provides the treatment versatility, precise fluence and pulse control needed to achieve maximum clearance for pigment and other conditions. 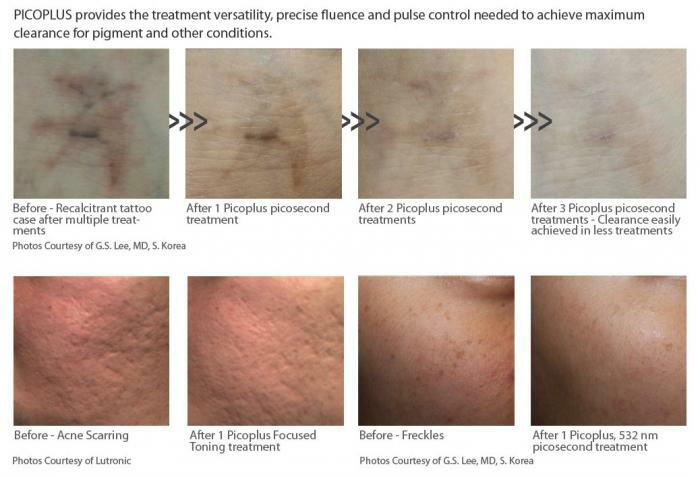 The picosecond pulse does more than just protect the surrounding tissue from thermal damage, it provides greater targeting and power to break up pigment into easier forms for the body to process. This improved targeting is what allows for faster and better clearance than what may be achieved from a nanosecond laser alone.